Our confirmation Class Teams combine service with friendship. As part of our Confirmation program, all teen candidates are required to be involved in a Confirmation Class Team. As teens move from middle school and into high school it is crucial for them to establish faith-based friendships with their peers. It is also important for them to have a sense of what serving others is like. By combining service with friendship teens are more inclined to get involved in serving the community—its no longer a chore—it’s a thing to do with your friends. Each youth is placed in a Class Team that is based on their weekly Religious Education or Holy Cross Academy class. It is our desire that as these teens serve together and grow in friendship they will continue to be involved in service throughout their teenage years. The solid, faith-filled friendships that they established through these Class Teams will also give our Catholic teens an established community that they can carry into high school. Each Class Team will have at least one Confirmation Catechist and adult leader to serve as a mentor for our young people, providing inspiration for serving in the Church and wider community and emphasizing ones need to develop a deeper prayer life and relationship with God. What do they do in these Class Teams? The religious education formation component is a top priority for these Class Teams. Along with the classroom formation, each Candidate must complete three Spiritual Works of Mercy and three Corporal Works of Mercy together as a Class Team (outside the classroom). These Works are a primary component of the Confirmation preparation program. Fulfilling the Works of Mercy for each of us is a lifelong commitment to the Gospel of Jesus Christ. Matthew 25:32-46 tells us that when we feed the hungry, give drink to the thirsty, welcome the stranger, clothe the naked, take care of the sick, and visit the imprisoned, we care for Christ himself. These Works of Mercy will be coordinated by the Confirmation Catechists and performed outside of the classroom. Corporal Works of Mercy: recognizes the sacredness of human life. We learn through fulfilling these Works of Mercy for others that we are our brother’s keeper. Our feelings of love for our brothers and sisters must be accompanied by acts of charity. As teams, we will reach out to members of our parish and the wider community and allow Christ to be reflected in us by our compassion for our neighbor. Spiritual Works of Mercy: recognize sin, ignorance, doubt, sorrow and other human conditions where we need to reach out in faith and love to others. The purpose of our program at St. Mary is for our teen Candidates to pray together, experiencing different liturgical activities in the spiritual life of the parish. Vatican II challenges us to “be fully conscious and active participants” in the prayer life “of the Church” and this is a good way to engage our teens in that participation. 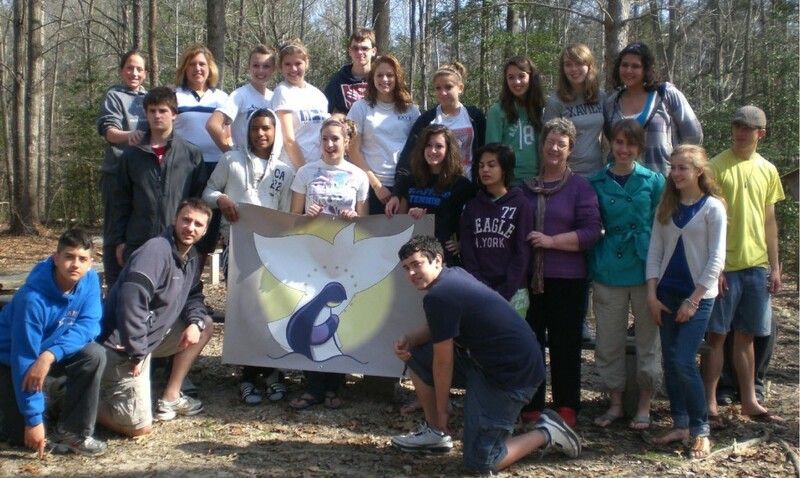 As part of the Confirmation journey, all Confirmation Class Teams are required to attend a Confirmation retreat. This retreat will help our teen candidates to better enter into the mystery of Gods love presented to them through the sacrament of Confirmation. For more details regarding what is expected from each teen Candidate and for our policy for corporal and spiritual works please see our Confirmation Parent and Candidate Handbook.